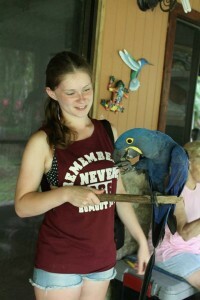 I am a first year Animal Science student who has always had a keen interest in anything biodiversity related. I had only been back from a conservation project in Costa Rica a month when I found myself in a very new jungle. Being employed on a project to make a new biodiversity recording app was definitely a very different venture to anything I’d ever done before. Although after only being a first year at Reading University for a few weeks, I was ready to get stuck straight into new experiences. The app ultimately will be used in teaching that require the collection of data about the biodiversity of the Whiteknights campus. So in order to ensure that the final product is something lecturers and students want to use, it is one of my jobs to interview our target audience and pick their brains about functions they’d find useful, so that we can make sure we really are making something that people will find suitable and will enjoy using. At the moment we are just focusing on basic features, but in the feature we would like to further develop it will become gradually more advanced. Features we are hoping to be included in the future include: predictive text for Latin names, option to add multiple pictures, and possibly an in-built species identification catalogue. I’m thrilled to say that I’ll have been part of a project that can potentially change the way subjects taught and enhance students learning in the future. This entry was posted in KiteSite, News, Student projects and tagged Android App, Biodiversity Recording, KiteSite, TLDF. Bookmark the permalink.